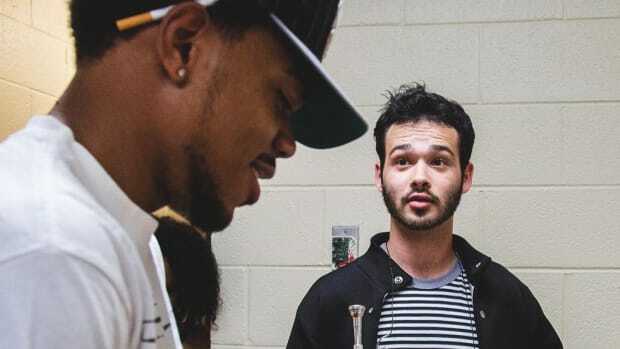 “This is real life, the only one we get to live / I remember being broke and thinking something’s gotta give / This is real life, everything we do is legendary / And we gon&apos; do it to the day we in the cemetery” —Logic, "Welcome to Forever"
“Legendary” is the note Maryland rapper Logic, an artist who at present requires little introduction, uses to open his 2013 mixtape, Young Sinatra: Welcome to Forever. 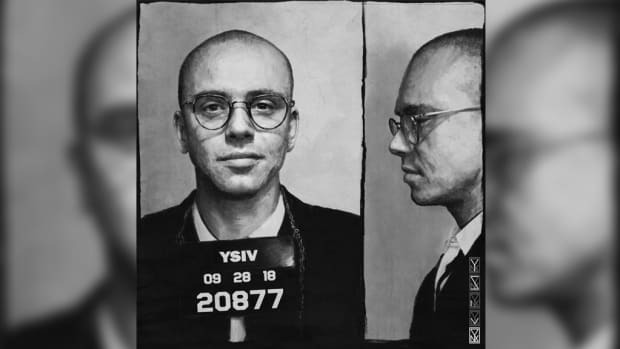 Just five years ago, draped in knockoff Roc-A-Fella chains and armed with a searing pen game, Logic was rapping like he had everything to prove. That hunger has undoubtedly paid off. 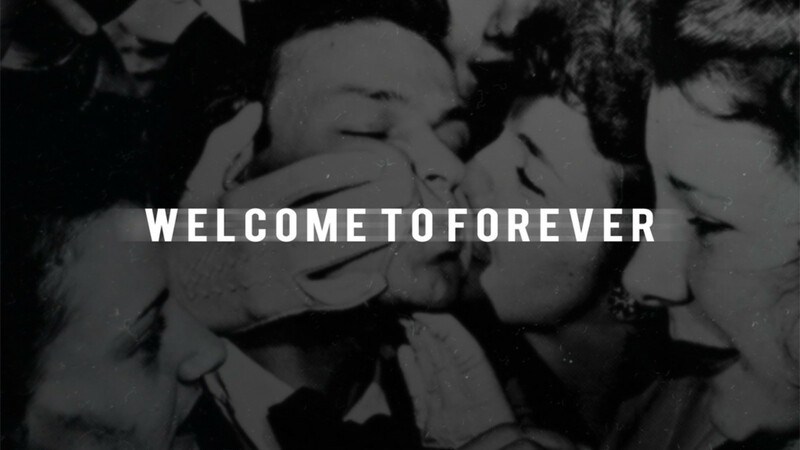 Welcome to Forever would become the launchpad for the rest of Logic’s career, with the essence of every commercial release to come wafting through the 20-track project. Stepping back a bit, let’s set the scene. The Logic of 2013 was built as a skinny hip-hop underdog, with a full head of hair, cigarette addiction, a gang of fake chains, and rotating collection of nylon bombers. His music videos were 90% rap hands and chasing street corners, and his style was all homage, from his Big L punchlines to his Young Sinatra persona. That Logic was a far cry from the bulking-up, nearly bald, kimono-wearing man he is today, but what’s retrospective without growth? So much of Welcome to Forever is a time capsule. Beats range from the classic crunchy boom bap Logic loves to skate over to glimmers of ringtone rap, to synths leads straight from the fledgling playbook of prolific in-house producer, 6ix. 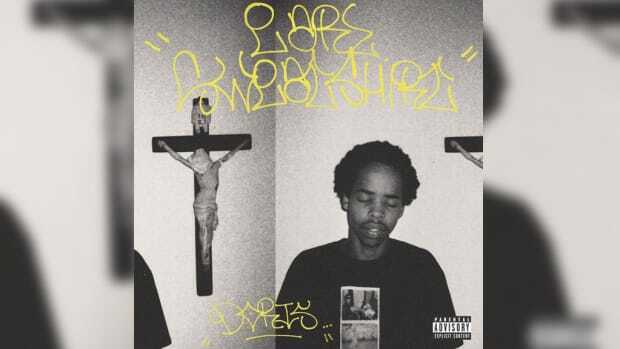 Five years in hip-hop is 50 years in almost any other profession, and when you glance at the tracklist and see names like Kid Ink and Trinidad Jame$, you’re reminded of simpler times, back when XXL cyphers didn’t spark conversations about domestic violence and the ethical consumption of music. With that, the most admirable quality about Logic, both within this tape and across his career, is his certainty. He prefaces his 2014 interview with Complex by asserting that he’ll be in the rap game for the next 10 years, and if Logic were writing this, there would be a pause, followed by a smile, followed by a gleaming, “At least.” In a lot of ways, “Forever” is Logic’s buzzword. From 2009 to 2018, the man has been obsessed with legacy. Even his latest penchant for fitness comes from a desire to stick around—for himself, his music, and his future family. Welcome to Forever, then, is the blueprint for Logic&apos;s legacy. 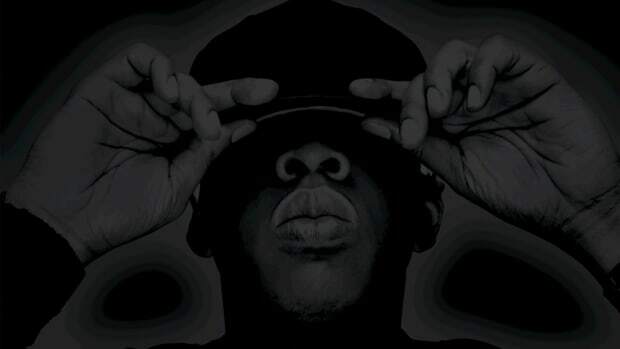 Whether he knew it or not, this collection of 20 songs laid out both the sonic and lyrical themes for all of his albums still to come. Thematically, we hear the caustic autobiography of Under Pressure on “5AM,” “Nasty,” and “Common Logic / Midnight Marauders,” a track that alludes to the A Tribe Called Quest narrative device framing Logic’s debut. Under Pressure’s “Intro” plays like a soulful and pensive reprise of “Man of the Year.” Even the anxiety that is laden within his Marty Randolph skits speaks to the overall sonics of Under Pressure. On “Randolph Returns,” Logic assures fans he could never sell out, and time and time again he has admitted that his major label debut was made with the form of “traditional hip-hop” in mind. Everybody is all over this project, and rightfully so when we consider the creative freedom allotted to mixtape releases and Logic’s attesting that Everybody is the album he was once too scared to craft. His critical legacy begins with this tape as well. 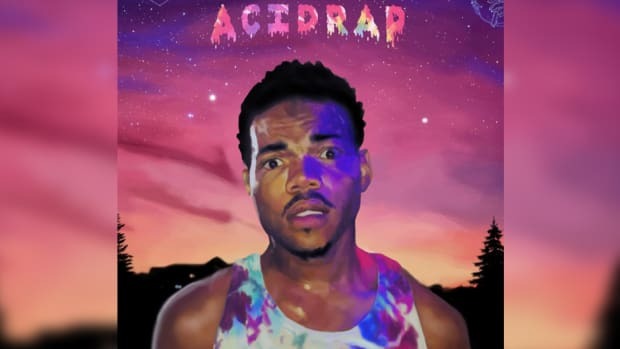 The subsequent HipHopDX review dubbed the tape a “‘Free Album’ (the highest possible praise for a mixtape).” The review itself has a 0.0/5.0, likely a bug when they migrated their review layout, but it does inadvertently speak volumes to Logic’s polarizing position in music. There is no doubt that Logic can whip up fans and mobilize a cult following; look no further than the pure sales of his last LP. But as we know, and as Logic himself knows perhaps to the point of a recent neurosis, he can inspire heavy critique that ranges from sparking valuable discussion to obsessive hatred. The instinct of a fan is to explain this phenomenon away as “At least people are talking,” but we have to wonder, is every conversation a productive conversation? Of course, there are nods to J. Cole and Drake throughout the tape, from Logic&apos;s form to the flows and melodies. Sometimes these moments become admittedly tedious, the source of many critiques, and undercut the potential Logic channels throughout the project. More exciting, though, is the context some of these near-imitations take when we realize Drake is now a Logic fan and J. Cole delivers a rare and intimate feature to close out Logic’s biggest-selling album to date. These moments make Welcome to Forever the apex of Logic’s comic-book-like rise to the mainstream. These are the moments that fans fell in love with, and whether or not longtime fans appreciate Logic growing out of his phase as a scrappy puppy, we can agree that it’s good to see good people eating. 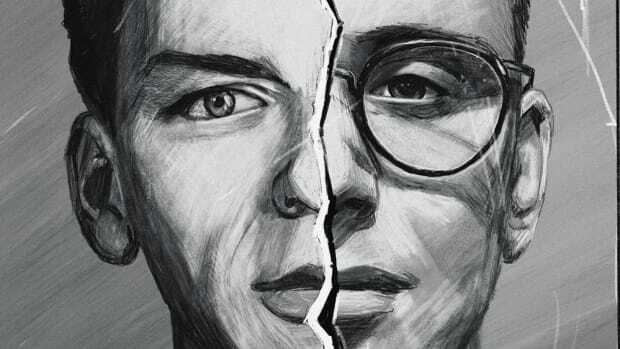 Five years ago, whether Logic knew it or not, the release of Young Sinatra: Welcome to Forever also marked the release of his roadmap to success. From the sonics to the writing, to his commitment to peace, love, positivity, and rapping for the thrill of rapping, Welcome to Forever was Logic’s first and most important step into the spotlight. 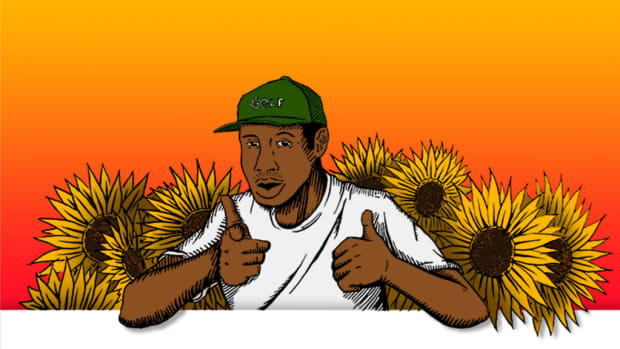 'Surf' also made digital music history.